Today's post is a tutorial to show you how to get this natural makeup look, using the Urban Decay shadows shown in my Feel Unique Haul. It is a simple, fairly natural eye look with a slight pink sheen on the lips. 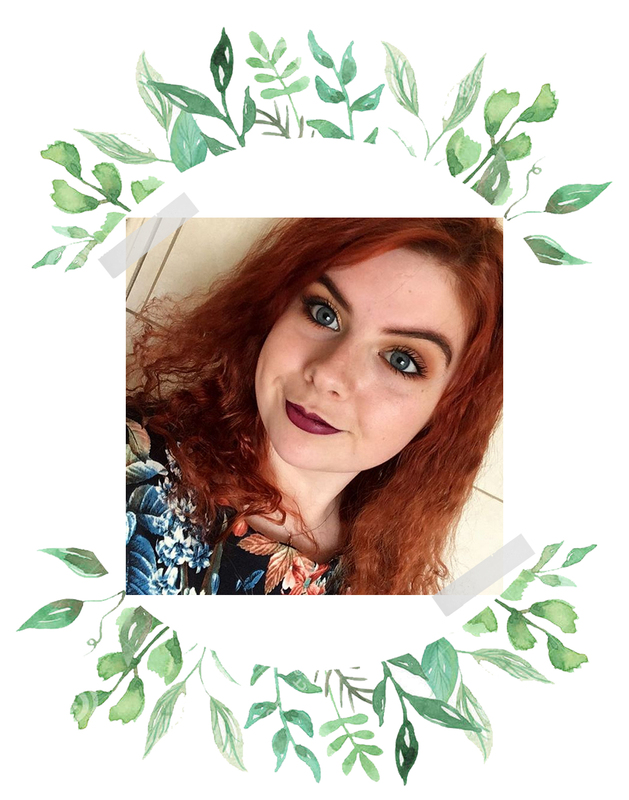 I started off with my usual face makeup, which is The Body Shop 'Matte It' primer, the Seventeen 'Stay Time' concealer in 'Extra Fair' and the transparent Rimmel Stay Matte Powder. 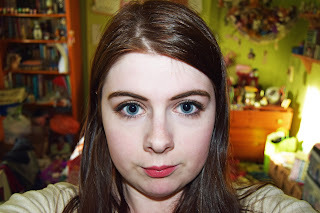 Following this, I filled in my brows with some brow powder from Freedom in 'Dark Brown'. 1. 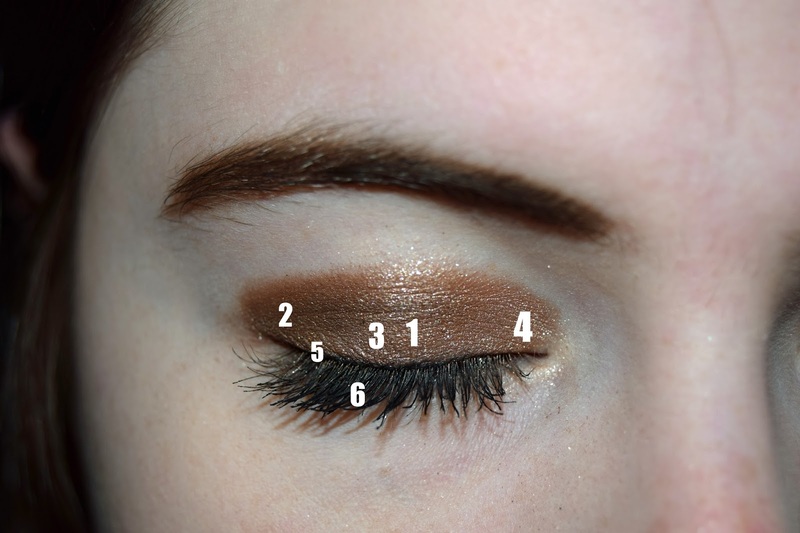 For the eyes, begin by taking the Maybelline 'Colour Tatto' in 'On and On Bronze' all over the lid to prime. On top of this, use the Urban Decay eyeshadow 'Toasted'. Again, this should go all over the lid. 2. Next, take 'Twice Baked' into the outer V and up into the crease. Blend the two shades together. 3. Pack the shimmery shade 'Space Cowboy' all over the lid. This adds a gorgeous sparkle to your look for that little extra pop! 4. Highlight in the inner corner using 'Cosmic'. 5. 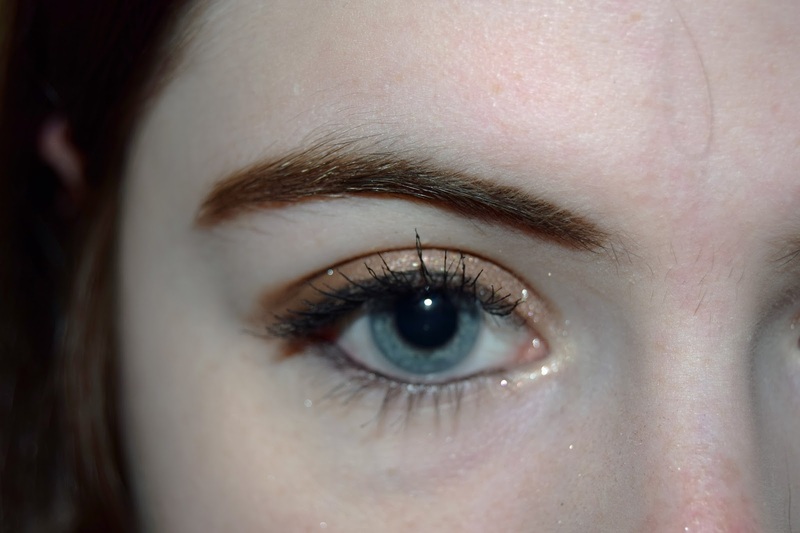 With a black kohl pencil (mine is from Barry M), add definition in the waterline and above the upper lash line. Blend this out if you want for a softer look, or keep it as it is for more sharpness. 6. Apply lots of mascara for long, thick lashes! I used the Maybelline 'The Colossal Go Extreme!' in 'Very Black'. To moisturise my lips and add a pretty pop of colour, I used the Nivea 'Fruity Shine' in Cherry. This smells amazing and moisturises well. It's not too pigmented on the lips, as what looks to be a red colour came out quite pink, but it is still a pretty colour and a good product. Let me know what you thought of this tutorial in the comments!